Whew! We’ve finished up our first year of high school, and we’re still alive. In some ways it was harder than expected, and in more ways it was easier than I anticipated. We’ve scaled back this year on how focused we are on credit by exam, and instead I’m trying to find resources that fit better with Kira’s learning style and we can do focused studying on exams toward the end of the year, in sha Allah (God willing). So, what do we have planned for this year? Saxon Advanced Mathmatics – We are continuing with Saxon. At this point, keeping with the same curriculum is very advantageous so we don’t run into gaps and overlaps. Excellence in Literature: British Literature – Kira hates, no, loathes literature. I did at her age also, so I just have to find something that she hates a little less. The historical context aspect of this program is a plus, and the one thing Kira didn’t hate doing last year when she did American Literature. Plus, she’s read many of the books assigned in young reader formats since they are in the Well Trained Mind middle school booklist. Fix-It! – We really love Fix-It! and intend to continue until either she finishes the program or she’s done homeschooling (this could be our last year!!). She will be expected to grade her own work this year as well. Public Speaking – This isn’t set in stone yet as we are tossing around the idea of doing this within our homeschool group. I purchased a book last year, and we may likely match those topics with Toastmasters Youth program, or something similar. Writing – Our move pushed completing Elegant Essay back, so we’ll finish up our work there, and Kira has requested that we do the Continuation Course for IEW SWI-C. She finds Andrew hilarious, so more Andrew it is! We’ve made science work, and I’m pleased with the results we’ve had at home, but with two little kids at home, and another on the way, I need to outsource! Kira will be signed up for a science class at the local middle school, and we are currently looking into whether there is room in their honors class for her, too. 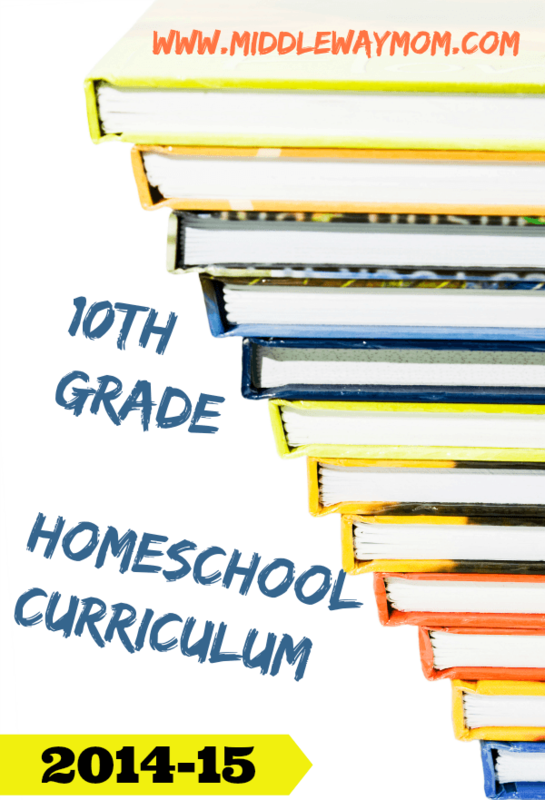 I’m excited about this development in our homeschool line up! Oak Meadow World History – This is the first time Kira will use an Oak Meadow resource, and from the previews, I think she’s really going to enjoy it. What really drew me to this world history curriculum is the appearance of a balance approach (rather than a Euro-centric history viewpoint), and that it focuses on every day people that made an impact. Architects, musicians, and other people that didn’t necessarily hold a position of power are highlighted for their contribution to society. I find that valuable and I’m looking forward to using their program. Mandarin Chinese 2 – This is our second year using Currclick, and Kira will continue using Rosetta Stone as a supplement in her Chinese curriculum. We’ve been very happy with the Currclick online class, and Kira finds the teacher very nice and encouraging. 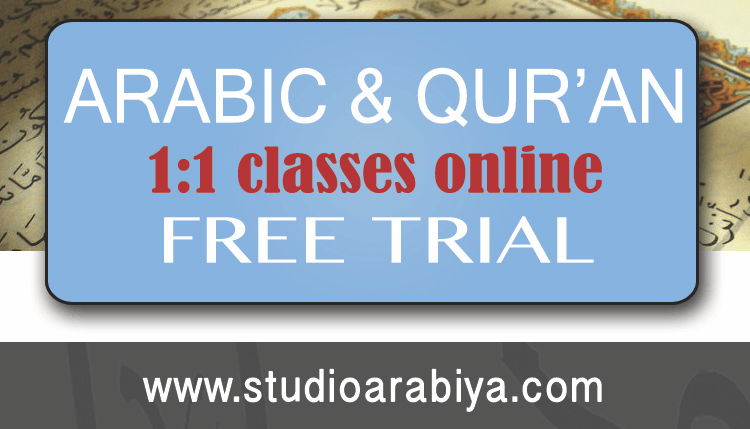 Qur’anic Arabic – We are again using Studio Arabiya, and couldn’t be happier. Kira adores her teacher, and looks forward to their classes. I’ve never seen Kira prepare for a class as eagerly as she prepares for her Studio Arabiya class. Hubby also really enjoys his teacher and has fun in his Arabic class, which says a lot because Hubby generally dislikes formal classes or tutoring! Islamic studies at this age is very hard to come by. 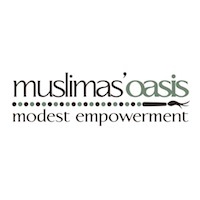 There are adult classes that have more information than Kira is ready for, like the specifics of when you need to do ghusl, or they are terribly boring to her. I’ve also found that with little kids in the house, I have nearly no uninterrupted time, so I’m not a good resource either. My solution? Seekers Guidance. Faraz Rabbani was a part of Sunnipath when I used to take classes online, so I have high hopes for Seekers Guidance as well. We will give it a shot and report back what we think! Are you homeschooling high school? What does your high school curriculum look like? 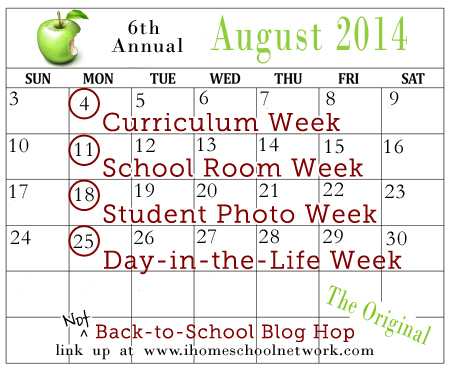 This post is part of iHomeschool Network’s NOT Back to School Blog Hop – Curriculum Week! 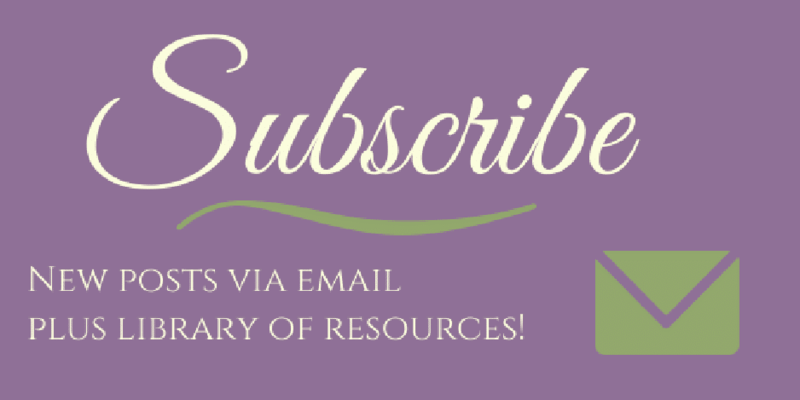 Join in on the fun with your own blog links, and check out all the other links, too!